Texas received a major boost for its 2019 recruiting class Thursday with a commitment from center Will Baker. Baker is a 5-star prospect and the No. 20 overall player in the 2019 class, according to 247Sports' composite rankings. He's also listed as the No. 7 center and the second-best recruit from Texas. The Westlake High School standout runs the floor extremely well for a big man and has also displayed nice footwork around the rim to create looks in the paint. At 7'0", he's displayed the ability to play a variety of frontcourt roles during his time with the Chaparrals. In April, he told Adam Zagoria of FloHoops he's not concerned about how he'll be used at the collegiate level. "I think I can play the 4 in college," Baker said. "I play the 5 right now, but I can stretch the floor. I can dribble the ball down if necessary. I can pass really well and provide other opportunities for my teammates. I think I can post up and also shoot the three." The latter point is probably the most important. He will need to become more consistent with his outside shot to play the stretch role, which is increasingly popular in the modern game. Baker won't have to abandon his post skills, though. He's a skilled distributor who should be able to help establish a strong inside-outside offensive style. The coveted prospect's playing time as a freshman with the Longhorns will be determined by how much progress he makes by the time he arrives on campus. The talent is there for him to make a major impact right off the bat, especially if he improves his three-point shooting to keep defenses honest. 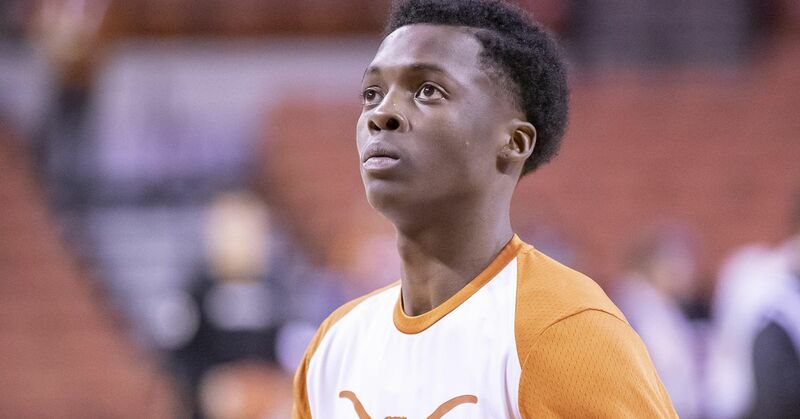 Even if he doesn't earn a starting role right away, the in-state prospect should provide a nice spark off the bench for coach Shaka Smart and Texas.